These baked sausage and pumpkin bites are perfect for a low carb appetizer this holiday season! 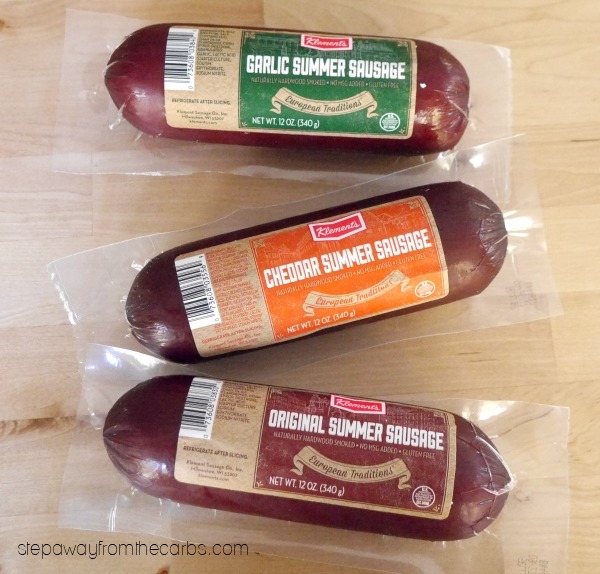 I recently had the opportunity to try some of the many sausage products from Klement’s. These authentic European handcrafted sausages really appealed to me – as I am originally from Europe! Their premium meat range includes summer sausages, snack sticks, fresh sausages, cocktail smokies, ring bologna and more! For this seasonal appetizer I wanted to use the sausage to recreate the sausage stuffing of a turkey, but in appetizer form! The artisan summer sausage from Klement’s was perfect for this – and comes in four flavors: Original, Cheddar, Beef (not shown) and Garlic. Because it isn’t stacked full of fillers one of these entire summer sausages is just 6g net carbs! Perfect for low carbers, especially when combined with the other ingredients: pumpkin, cream cheese, and pecans! 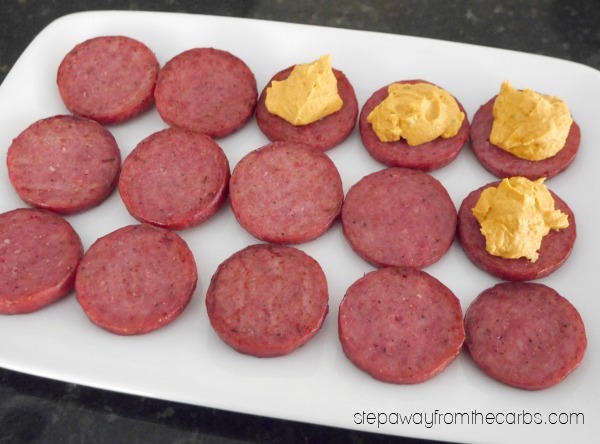 To make this appetizer, slice the summer sausage (I used the original flavor, but I bet the garlic sausage would be great too!) into 16 slices. Place the slices on a metal rack that has been placed on top of a baking sheet. Bake in a preheated oven for 15 minutes, or until the edges start to darken. Meanwhile, add pumpkin puree (NOT pumpkin pie filling), cream cheese, fresh or dried thyme and salt and pepper to a food processor. Blend until smooth and set aside (this can be made in advance if necessary). In a small sauté pan, melt some butter. Add chopped pecans and xylitol or granular Swerve, and cook the nuts until caramelized, stirring frequently. Spoon the pecans onto wax paper, baking parchment or a silicone mat to harden. When the sausage slices have cooked, let them cool slightly and then soak up any excess grease with kitchen paper. Place the slices on a serving platter, and add a spoonful of the pumpkin mixture to each one. Finish each one with a few pieces of caramelized pecan and some fresh thyme leaves. This delicious appetizer is best served slightly warm. 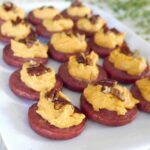 Your guests will love the authentic meaty sausage, the soft pumpkin cream, and the crunchy butter pecan topping. 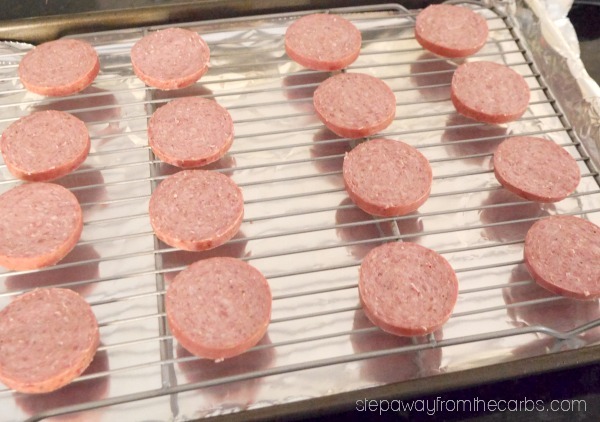 Slice the summer sausage into 16 slices, and place on a metal rack over a baking sheet. Bake for 15 minutes or until the edges start to darken. Meanwhile, add the pumpkin, cream cheese, thyme and seasoning to a food processor, blend until smooth, and set aside. 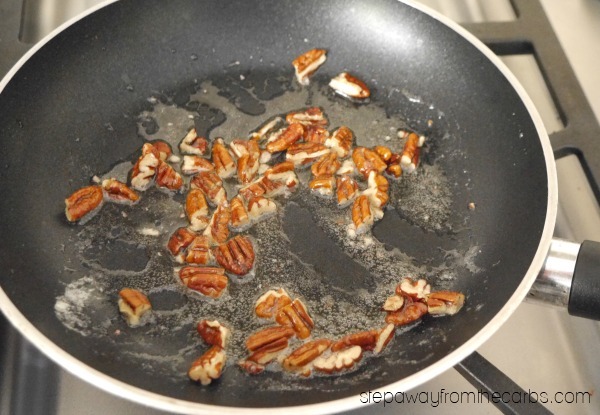 Melt the butter in a small saute pan and add the pecans and sweetener. Cook for 5-10 minutes, stirring regularly, until the nuts have caramelized. Place on wax paper to harden. Blot any excess grease from the sausage with kitchen paper, and place the slices on a serving platter. Place spoonfuls of the pumpkin mixture onto each slice, and finish with a few pecans and thyme leaves. Want to find out where to get Klement’s products near you? Here’s their store locator! Or follow Klement’s on Facebook, Twitter or Instagram for updates and tips. What a perfect appetizer, and they look so pretty! 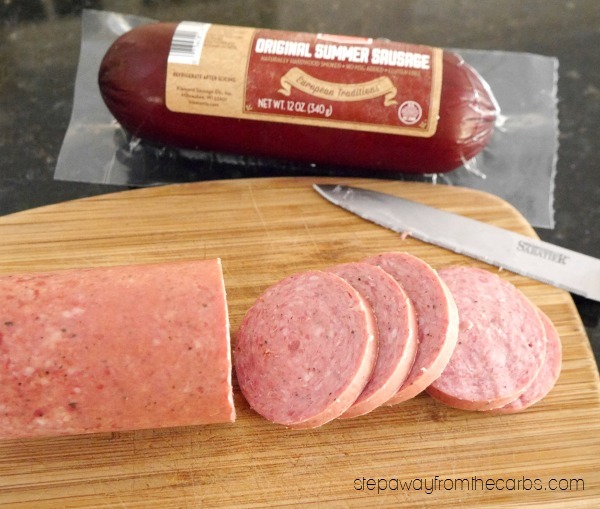 Summer Sausage is one of my husbands favorite things! 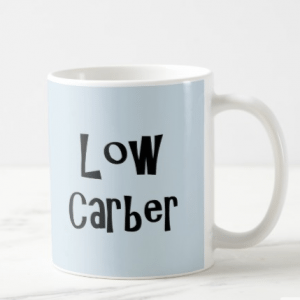 I like the sound of this! Savory, smoky and sweet. Great idea and so simple to put together. I’ve never tried the sausage and pumpkin combo! All of those summer sausages look amazing. 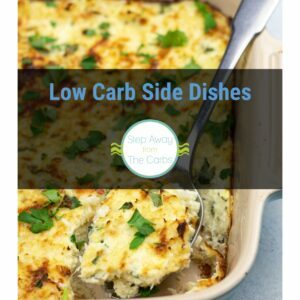 Great low carb appetizer! Yay! Easy and delicious. 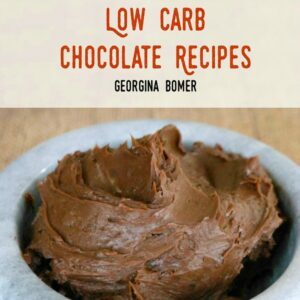 This recipe is brilliant – what a great idea. Oh, my husband loves these types of sausages. 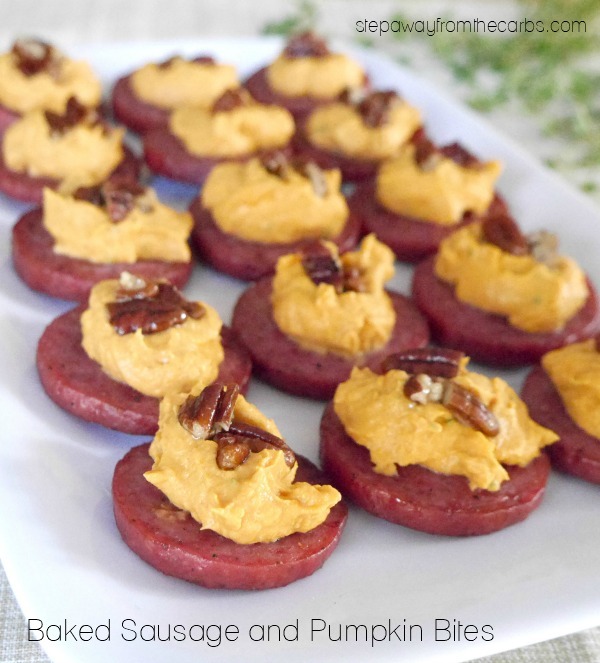 I would have never thought to put the pumpkin, cream cheese, candied pecans and sausages together. I like the salty, sweet, smoky combination you have going on here. Thanks! 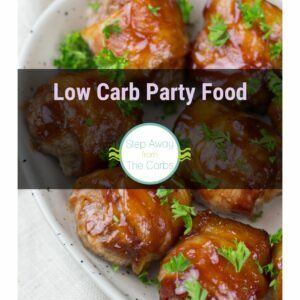 I love easy apps for entertaining! Thanks!